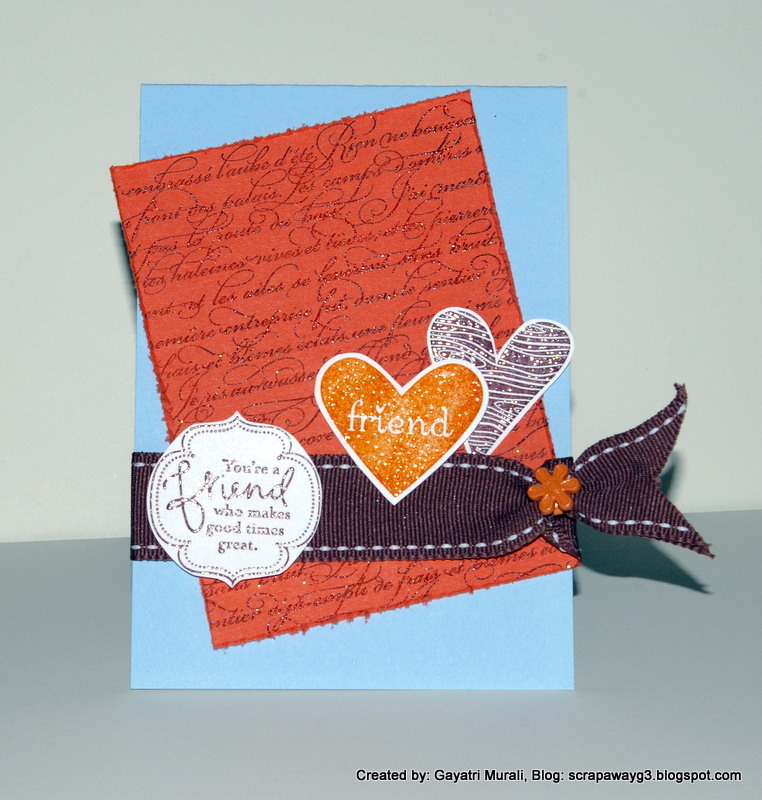 Stampsets: Great friend, Inspired by Nature. Cardstock: Basic Black, Rose red, Kiwi kiss, whisper white. Ink: Rose red, pink pirouette, kiwi kiss, black stazon. Accessories: Flower brad, matt pack and paper piercer, dimensionals.